Surely you have received a voice note on WhatsApp from your friends or family members but you can not hear it. Either because there is too much of noise or because you do not have headphones on hand and you can not put the audio on the phone, it is sure that you may be faced such kind of situation. 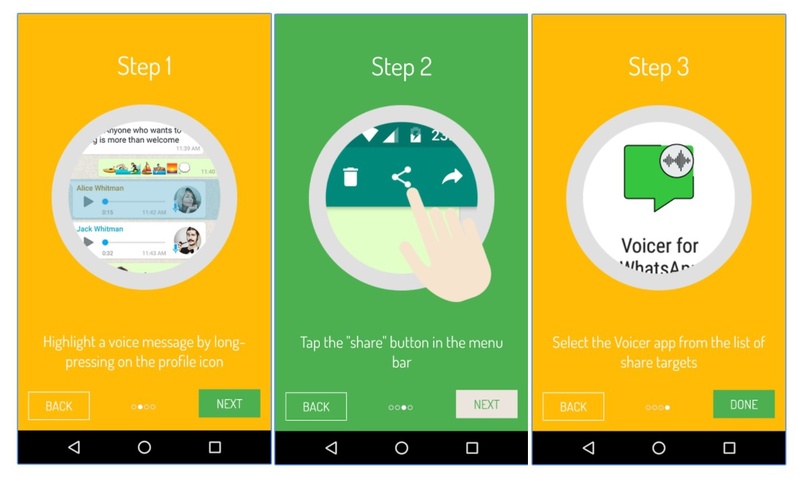 Do you want to find the voice message on your WhatsApp without playing on your mobile? Then you are at the right place. 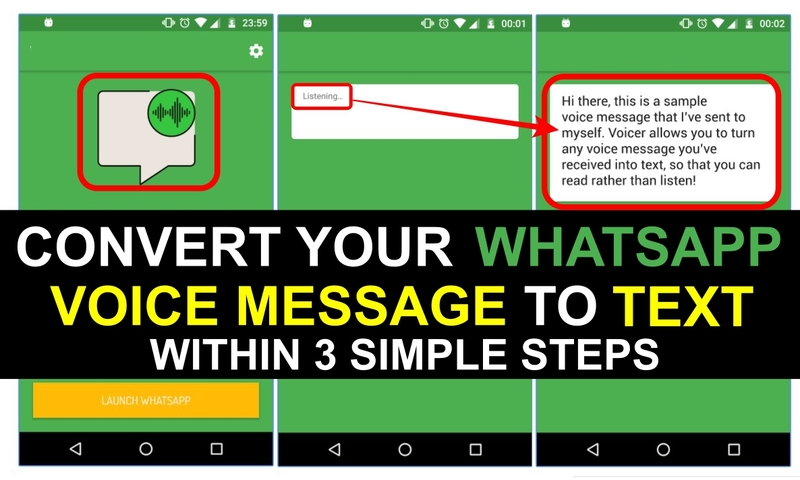 Today, we are going to reveal a method to convert your WhatsApp voice memos or Messages to text within just 3 steps. Awesome isn’t it? Without playing the voice message, you can know what it is by just converting it into text. If we want to know what they are saying and we can not hear it in any way but we can not wait, we can convert the voice notes that send us in a text that we can read from anywhere. 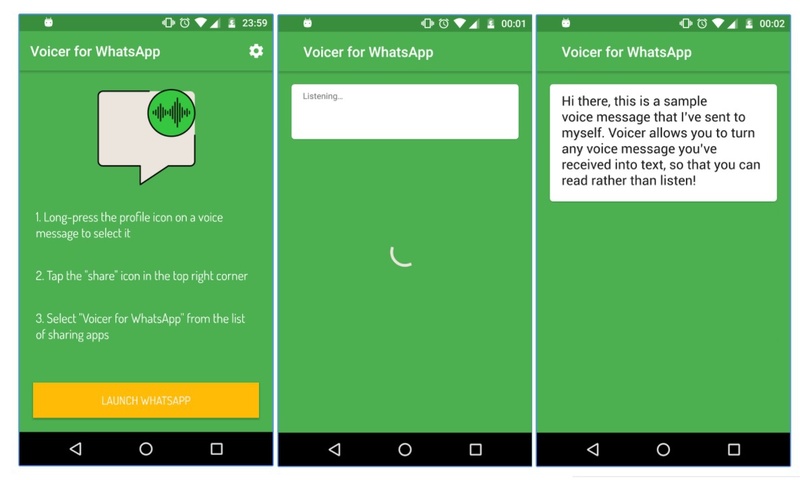 It is very easy thanks to Voicer for WhatsApp, an application whose mission is to convert WhatsApp voicemails to text that you are able to read. The application is very simple to use. Simply share the voice note with the app and it will convert your voice message to text. All you have to do is to follow these simple steps below. When we receive a voice note we have to do a long press on the message. Tap the Share button in the menu bar. Select the Voicer app from the list of share targets. That is it!. 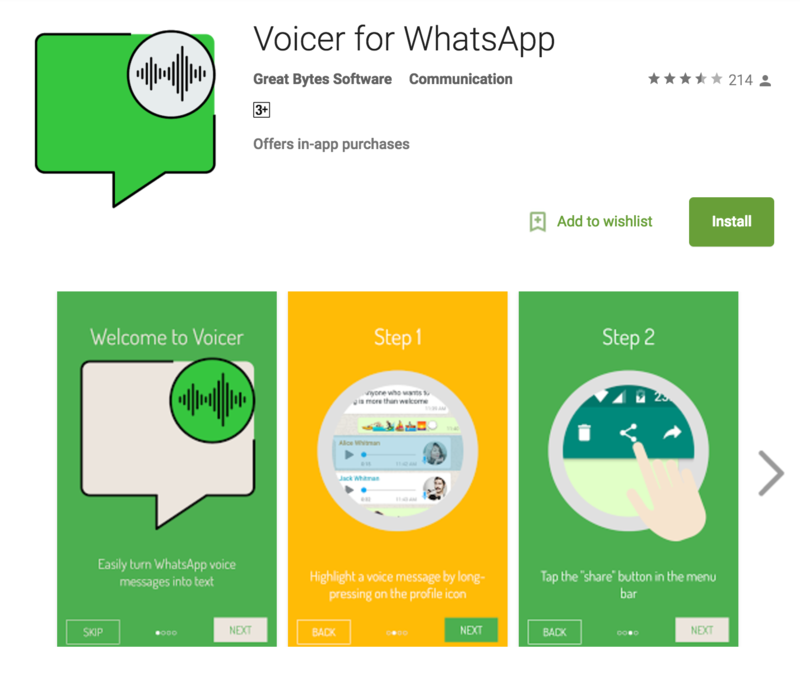 The application will listen to the voice note that you have shared and convert it to the text so that we can read it easily without playing the voice message out. We can read the voice message through this app, which will allow us to respond to the voice note at the moment. Easy isn’t it? If you haven’t tried this app yet, try it and share your experiences with our readers in the below comment section. Share about how much time it is taking for your voice message to translate to text? How accurate is it translating the voice to text? How much flexible it is to use? etc. If you have any queries regarding the above app and the method of converting your voice memos, write to us in the comment section and we will get back to you to solve all your queries as soon as possible. Do you have any other alternative for this app? Then write those to our Email ID through our contact us page or you can write them in the comment section. We will feature your app with thorough research and after using it. What are the features you want to include in WhatsApp? Thank you for giving your valuable feedback. We will try other apps which can convert over 1 min of Voice messages to text as soon as possible. another grate post lasya . thanks for sharing…….. Thank you for giving your feedback. Keep visiting our Alltop9.com website for more stuff like this.